Finding the best plasma lighter without knowing what you are looking for can be little troublesome. We have brought you the key points and warnings to find the best of all lighters. 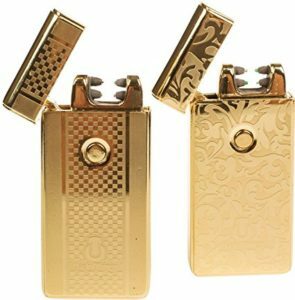 However, we here at ReviewCart have collected all The 5 Best Plasma Lighters for you. What makes the plasma lighter to be the best? 1 What makes the plasma lighter to be the best? Plasma lighters are butane-free and USB-powered. Generates flame quickly with a tiny electrical arc between a pair of ceramic electrodes, which totally depends on a single or double arc plasma flame which claims to be than any traditional flame. A single arc – two-electrode flame works smoothly for cigarette smoker as it creates less heat over a smaller capacity. Double arc – four-electrode flame works effortlessly for cigar smoker as it makes double coverage available for the wider edge of a large cigar. 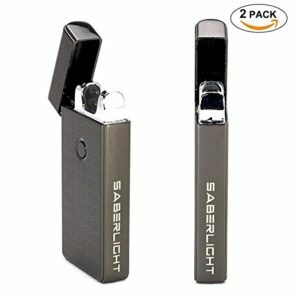 For pipe smoker, The Saberlight Flameless Plasma Torch Lighter is designed specifically to pipe and bowl smokers. Do not lit in sunlight for a longer time. Do not keep flame lit for more than five seconds at a time. Do not touch the arc, as it will result in a burn or conceivable small shock. Use away from the face, body, metallic, clothing, and flammable clothing. Does not puncture or practice near open electric arc flame. Use only in the well-ventilated zone. Lighter is not toys so keep it away from children. Make sure the electric arc flame is turned off after use. 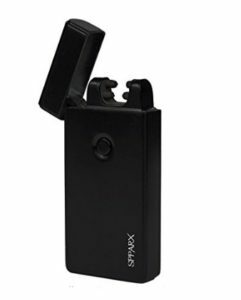 When you are looking for a good lighter that does its job super good then the luxury Ralix® electronic lighter results the “Top Best Lighter“ to your search. It is built from a high-quality zinc alloy that won’t fall apart or melt like other cheap plastic lighters. The build on this lighter is beautiful with the matte finish look to avoid fingerprints in it and comes in a package that makes it a good gift idea. 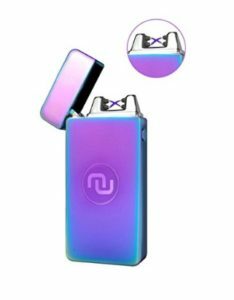 The single arc flame lighter comes with USB that does not rely on gas or other fluids and features a blue indicator light that displays when your lighter is fully charged and ready to unplug. Battery life – Durable and last up to one week or lighten 300 sparks when fully charged. One user says that if used extensively or continuously it gets heat up to the point that you can’t hold it. 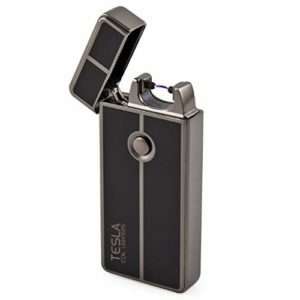 The Tesla Coil Electric Plasma Lighter is innovative lighter that works by creating an electric arc with one click. Not like a cheap plastic lighter, it’s a rechargeable electric lighter that doesn’t need refills or fluid. Lighter is very easy to charge via USB cable and once fully charged you’re good to go anywhere at any time. Tesla Lighter comes with safety feature will not activate when the lid is closed. The Tesla Coil Electric Plasma Lighter is designed simple, reliable and safer. Its beautiful design can make it the best gift for you or your friends. Built-in – single arc, made from Gunmetal tesla coil and butane free. Battery life – when fully charged last up to one week or 100 – 300 uses. Ideal for lighting smaller stuff such as cigarettes anything larger might have issues as the space between elements is not that wide. The Saberlight Flameless Plasma Torch Lighter re-designed to deliver best results to light up all stuff without any issue. Unlike traditional plasma beam lighters with a limited narrow tesla coil that can’t light objects like bowls and pipes, Sparq uses more powerful technology to disregard the narrow tesla coil and generate dual plasma beams at the top nodes that can be functional to any surface to set it alight. Battery life – with one hour charging time you can use 300 sparks. Novelty Wares is a good option for those who are looking for a flameless lighter for candles, cigarettes, incense, and campfires etc. it is constructed with solid corrosion – resistant metal construction that works well in all weather conditions. The design and effectiveness can make anyone want this or to present any on their birthday. Available colors – 6 colors (neon/rainbow, gunmetal, wood, navy blue, gold, and rose gold. One purchaser warns not use with wet hands that it’ll hurt you. Nova offers flameless lighter that does its job and considerably usable. It’s great for the one who has any fuel concerns. It charges quick, lasts the whole day. The charging mechanism has a light indicator that turns off when it’s fully charged which is very convenient, you can charge it overnight without getting hot. Nova features a double arc that has double power, which is very beneficial when compared to a single arc lighter. It’s attractive as a gift or for oneself. Battery life- charges faster provide a decent charge i.e. about a day or one full pack of cigarettes. Available colors – Gold, Solid Gold, Solid silver, Gunmetal silver and Mythical. All the above – mentioned are The 5 Best Plasma Lighters, so you won’t buy regretting. Please let us know your valuable feedback regarding the most appealing lighters among all.